No new laws have been passed on the subject, but in July 2015 the Department of Labor issued a notice which “clarifies” the definition of who is an employee (a W-2 employee) versus an independent contractor (which receives a 1099). As a result, Mike Kappel believes small business will have to start paying many more workers as W-2 employees, rather than independent contractors. 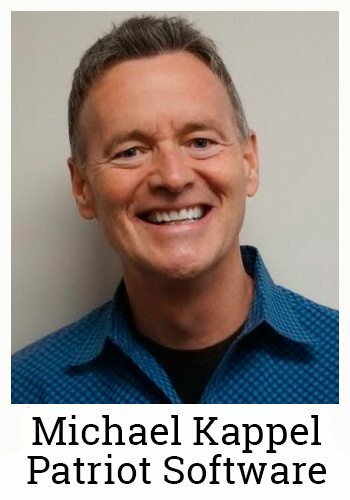 Michael Kappel is the CEO and founder of Patriot Software, which provides three services to small businesses. Patriot Software provides cloud-based time & attendance tracking software, payroll services, and accounting software. The company has processed over 600,000 timesheets and $618 million in payroll since starting in 2002. Recently, I had the chance to interview Mike Kappel. The following Q & A are based on my notes and are not an exact transcript of his words. Why should small businesses care about the Department of Labor’s interpretative memo on classification of employees versus independent contractors? Many small businesses have independent contractors that will now have to be classified as employees. According to the government statistics, there are over 28 million businesses in the United States, but only 5 million that report having employees. Do you really believe that there over 20 million businesses that don’t have workers besides the owners? Many of these companies are paying their workers as independent contractors to avoid paying payroll taxes to Uncle Sam. Under the new notice, there is much less wiggle room to classify a worker as an independent contractor. Employers will have to start using a W-2 for these workers. Not only does this create more administrative work, but employers’ costs will rise as well. Employers will need to contribute their portion of FICA and pay additional unemployment taxes. It’s not easy to be a small business. However, I caution small businesses not to fight this change. Some people think that the IRS will give small businesses a pass, even if they are not compliant. This is false. The IRS has lots of technology at their disposal and will be able to detect signs of non-compliance (ie. a company with no employees issuing 1099s for large amounts). When they do catch a small business owner that doesn’t comply, the penalties tend to be severe. 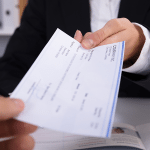 Patriot Software enables direct deposit or the ability for employers to print checks. Which is more popular? The most popular option is for business owners to print checks, but direct deposit is definitely growing. In the future, we will be offering another option for small businesses. Many millennials don’t have banking accounts, which rules out direct deposits and makes cashing checks expensive and time-consuming. We are working to provide employers the option to give paycards to their employees. These paycards would work just like a debit card, and could be used to pay for anything up to the balance amount. It is a great solution for any industry that employs lots of young employees (restaurants for example). How does Patriot Software compete against your much larger competitors in the payroll software space? First, we are the only company that provides free set-up with our basic DIY payroll product as well as our full-service payroll offering. To the best of my knowledge, the other vendors either do not offer a basic DIY payroll product, or they don’t offer free set-up for their DIY payroll product. However, Patriot offers free setup for all of our software products. Therefore, business owners can easily switch their payroll to us anytime throughout the year. If they accept our help, we make sure their prior payrolls and payroll taxes are up-to-snuff, so they can start anytime during the year with a clean slate. The second advantage, is that we provide one single login for all three products; time & attendance, payroll, and accounting. Our time and attendance software feeds workers’ hours directly into our payroll software. Then, our payroll software feeds the payroll data directly into our accounting software’s general ledger. 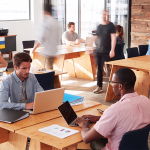 We are the only cloud-based system that offers a single login for all three systems, making the process of tracking employees’ work hours and payroll a breeze for small business owners. Want to save time on payroll? Click Here to get 3 FREE payroll timesheet templates! 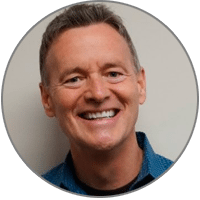 Mike Kappel is the CEO of Patriot Software, Inc., a developer of online accounting and payroll software for small business owners in the USA. Being a serial entrepreneur, Mike knows small business. He has made it his mission to provide fellow entrepreneurs with the affordable tools they need to keep their time and money, for what matters most.